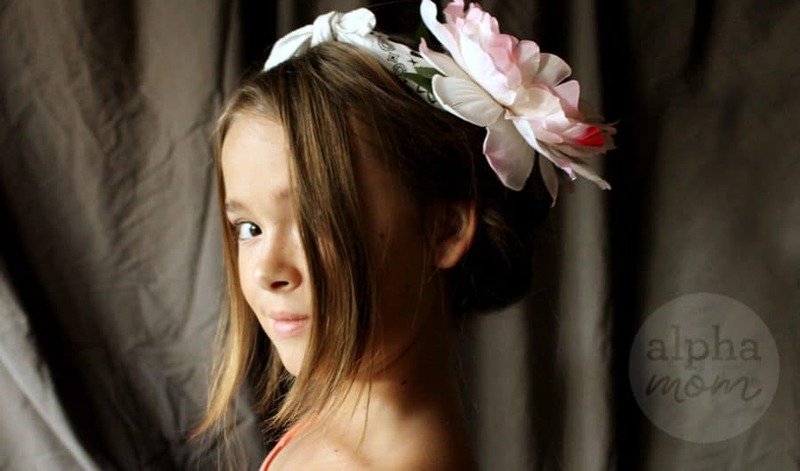 Holiday parties to attend and the kids want a fancy up-do but you don’t know how? Have no fear! 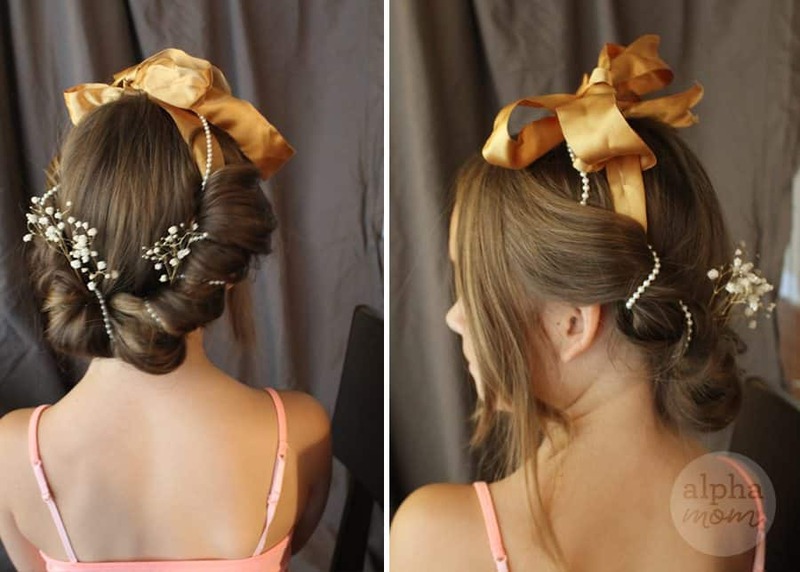 We have the perfect easy up-do for long hair that you can literally pull off in minutes. 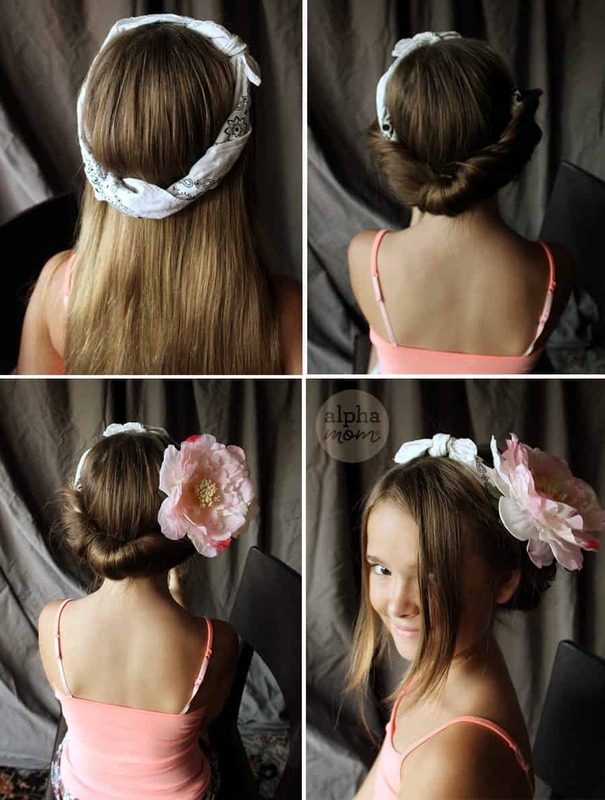 Just grab a hairbrush and follow these simple steps! First brush out the long hair and be sure it’s free of tangles. Hair a little dirty? No worries that will make this style work even better. In fact, if the hair is too clean you might want to spray it with a quick cloud of hairspray so it stays in place better when the hair is all wrapped up. 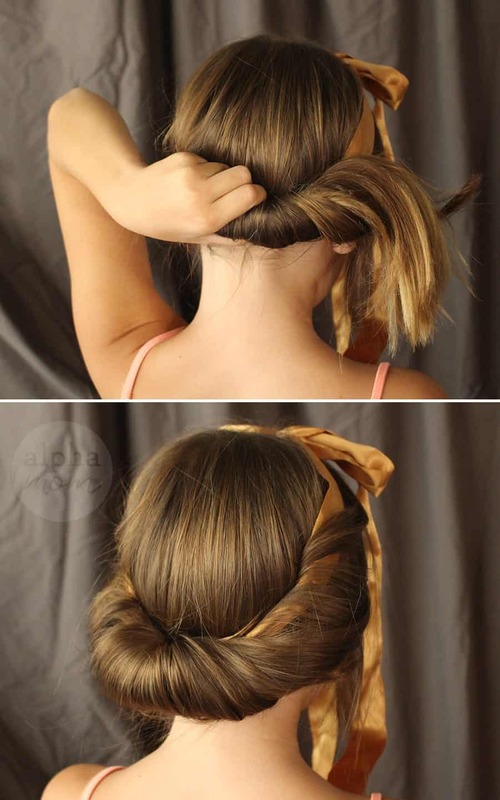 Next wrap the ribbon around the crown of the head (on top of the hair) and tie it in a bow at the forehead. If you’re working with bangs, make sure to keep them out of the way. Next take the hair and twist it lightly up and over the top of the ribbon that is at the base of the neck, tucking it in around the ribbon all around the bottom of the crown. See photo above. 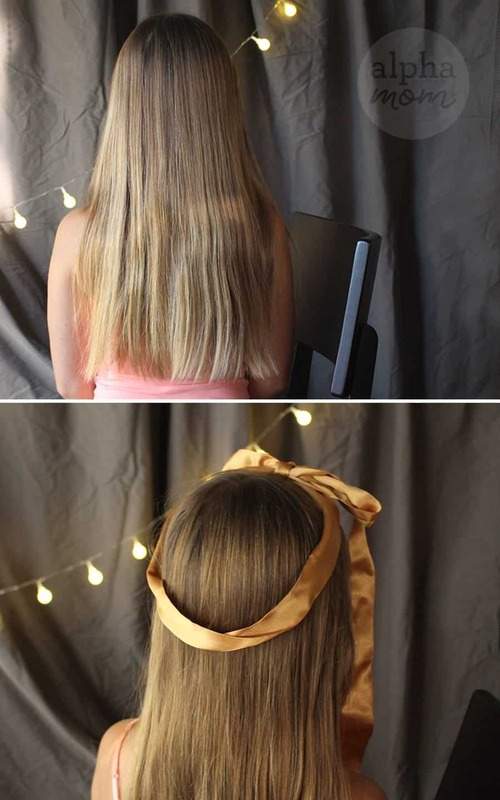 Keep tucking all the hair in around the ribbon until it is smooth. Bobby pin anything that feels loose. A quick spray of hairspray here is a good idea, too. You could stop here. 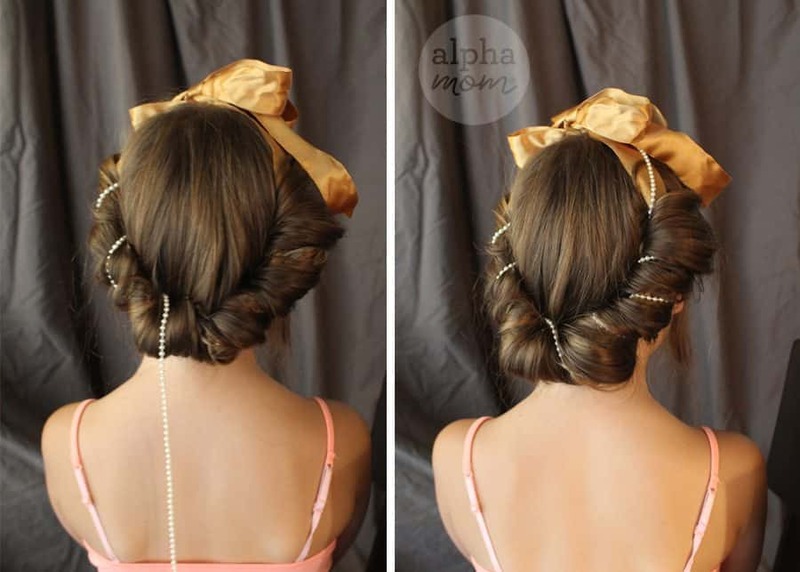 Or, you could adorn the hair up-do with pretty hair things like a strand of pearls. Just pin the strand behind the ear and then wrap it around the ribbon, spiraling around until you get to the other side and pin behind the other ear. Tuck some sprigs of baby’s breath into your the hair for an extra festive touch! Now don a pretty dress and you are ready for the ball. We also found that a bandana worked even better than a ribbon on my daughter’s super straight slippery hair. Add a pretty flower and who says bandanas can’t be party attire?